Biodiesel is produced generally from a wide range of edible and nonedible vegetable oil, animal fats, and frying and waste cooking oils. Use of edible oil for biodiesel production has recently been of great concern because they compete with food security. Prime concern is given to exploration of nonedible seed oil for production of sustainable bioenergy as potential feedstock. Main constraint to the commercialization of sustainable bioenergy is the cost of the raw material. High values of edible value make the production of biodiesel very cost-effective. To overcome this problem, explorations of novel nonedible, inexpensive low-grade seed oil are of supreme importance to make biodiesel economical and sustainable. Microwave heating is used for the homogenization of reactants (Salvadora alii oil and methanol) in a transesterification reaction for chemical conversion to biodiesel biorefinery. Salvadora alii oil is utilized as a nonedible raw material with lower acid value. The calcined calcium oxide was used as heterogeneous catalyst. The parametric study was conducted to determine the optimum process values. The methanol to oil ratio of 6:1, catalyst amount of 3.0 wt%, reaction time of 8 min and microwave power of 400 W was found to be optimum conditions. Reaction kinetics was studied and it follows pseudo-first-order process with an activation energy of 55.2 kJ/mol. The microwave heating reduced the reaction up to 3.75–11.25 folds as compared to other intensification and conventional biodiesel methyl ester production process. Hence, microwave heating is concluded to be energy efficient and time saving for the biodiesel biorefinery chemical conversion. 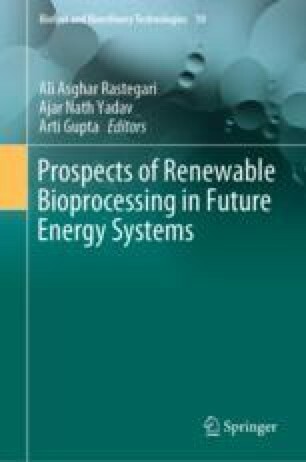 The author(s) would like to thank Biomass Processing Lab of Universiti Teknologi PETRONAS, Universiti Sains Malaysia, Higher Education Commission of Pakistan, and Marine Department of Malaysia for providing research funding and lab facilities.